The most exciting part of any visit to the Welsh Hawking Centre is watching our wonderful displays. 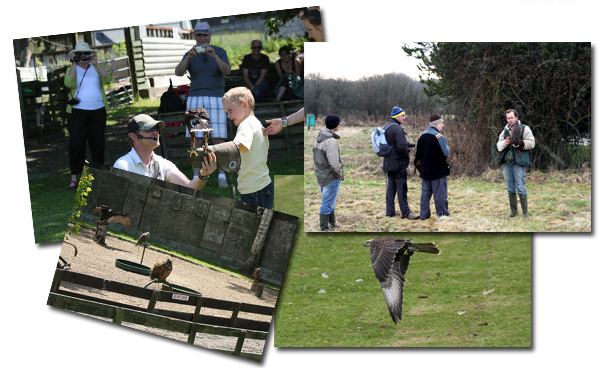 Here you will get the chance to witness the speed of our graceful falcons stooping to the lure and the silent flight of an owl, as well as maybe even getting involved and having one of our birds fly to your gloved hand. You'll also get the opportunity to ask questions and learn more about these magnificent birds. 12:00 and 14:30 circumstances permitting.